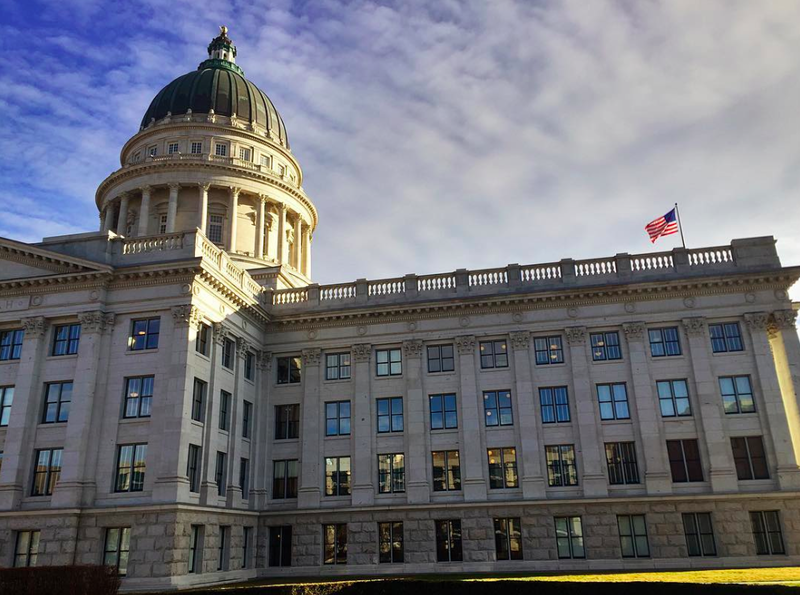 2016 Legislative Summary - Week 6! 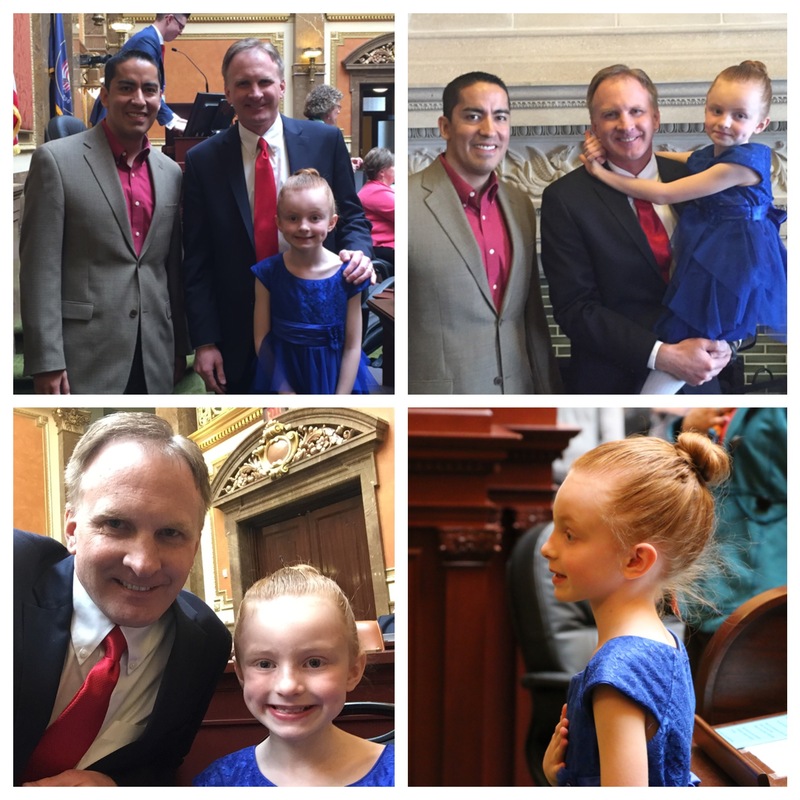 Home > News > 2016 Legislative Summary - Week 6! Each day during the legislative session, a different representative has the responsibility to select someone to give the prayer and the pledge. This year I asked Pastor Sid Casillas from Life Church in West Valley (corner of Bangerter and 4700 South) to give the prayer. Pastor Casillas has been with Life Church since 2001 and is a wonderful asset to our community. First grader Claire Hall (my daughter) gave the pledge of allegiance. Thanks to these two great folks for opening the House of Representatives on Monday with the prayer and the pledge. Visit from Pioneer Elementary Students! 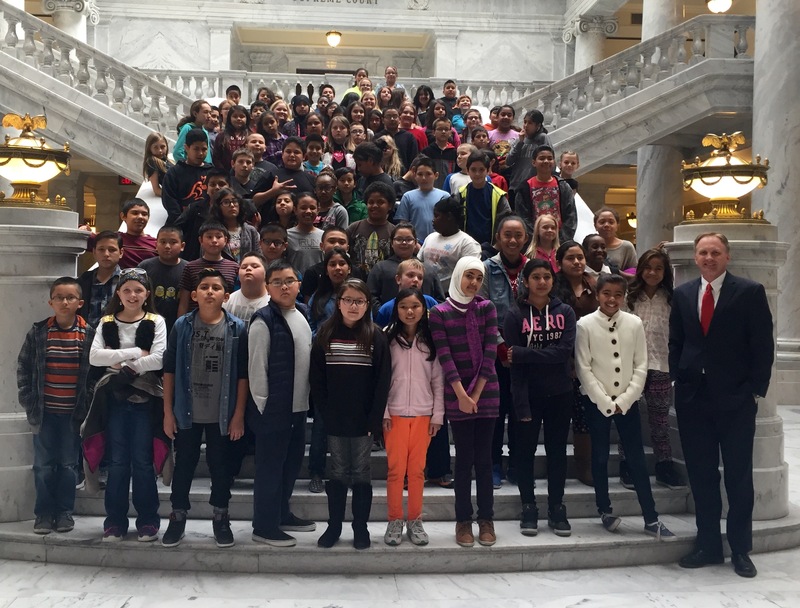 Thanks to the students and teacher from Pioneer Elementary School for visiting the Capitol this week. They were a great group with wonderful questions. Thanks for coming! 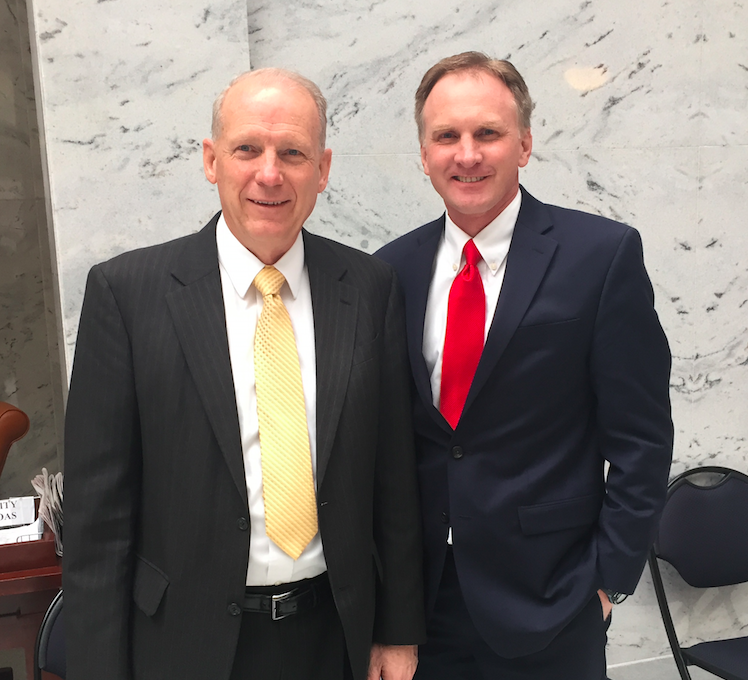 During the legislative session, I have had the wonderful opportunity to work with our local officials in order to protect the interests of West Valley City. Thanks to all of them for working with the legislature to help keep West Valley a wonderful place to work, raise a family, and send our kids to school. Thanks to Mayor Bigelow and others for all of your help. 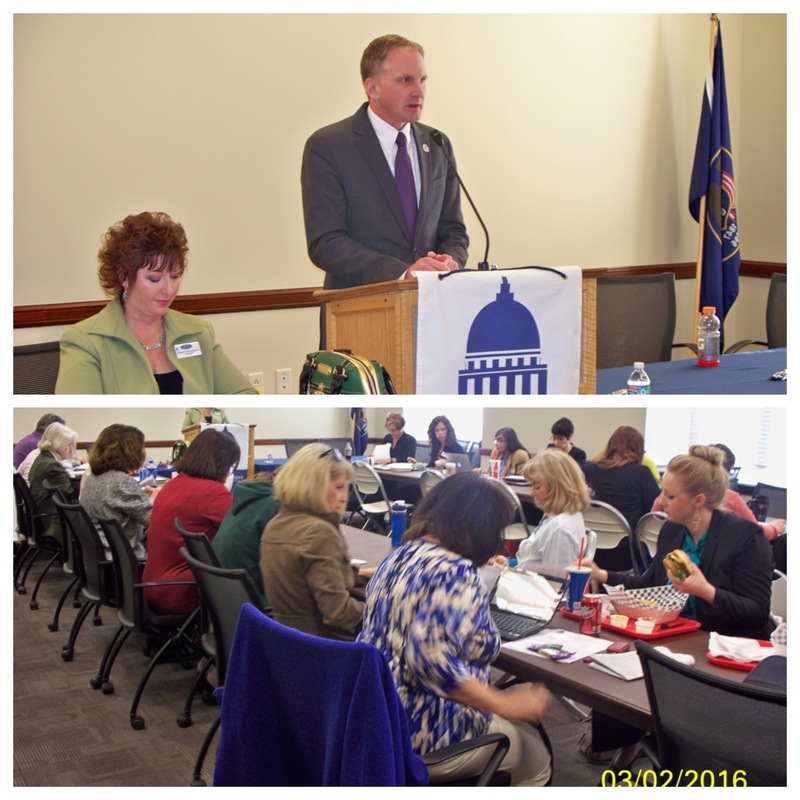 Thanks for the invite from the Women's State Legislative Council of Utah for a chance to visit with their group. They were interested in some of the bills I am sponsoring and it was great to meet with them. Thanks for your support! 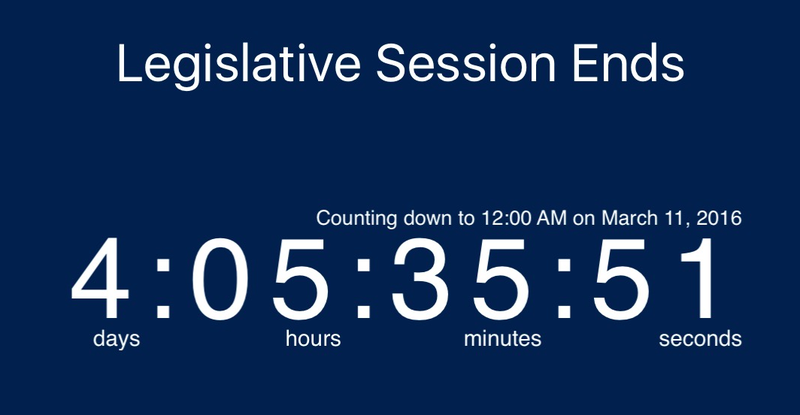 As you can see from the graphic below, the legislative session will end soon (current as of about 6:30 pm on Sunday). On Thursday night at midnight, it's all over! Feel free to contact me anytime to let me know how much you hate or love any of the bills you happen to hear about. HB263 - Fraud Amendments - I am the chief sponsor of this bill. Passed the House 73 - 0. Passed a Senate committee 4 - 0.